Common digital photo image formats are RAW, TIFF and JPEG. RAW format is good but there are many disadvantages, such as image processing is fussy, normal software cannot view or edit RAW photos directly, occupy a large amount of memory, and so on. As a result, there are now a number of image processing programs that can convert RAW images to more main-stream formats like JPG, PNG. 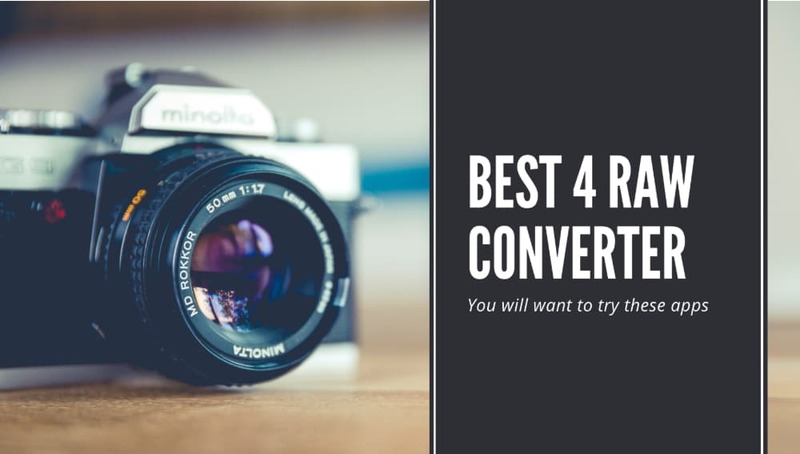 Here are 4 recommended RAW image conversion tools. 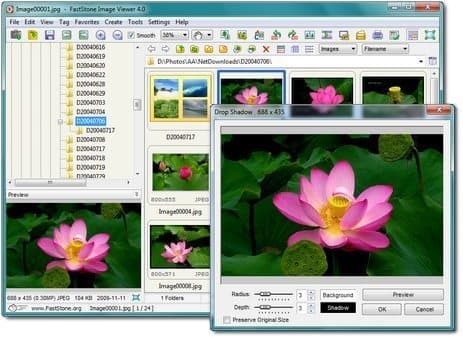 Faststone image viewer can open RAW files super fast, it can do simple editing, and rename files in batch. What’s more, the software only takes 5MB of hard-drive storage, and it even provides the portable version. You can save the software in a USB drive and use it on any computer without any hassle. The software is basically free to use if you use it for personal or educational purpose. Of course, if you are using it for commercial purpose, you need to buy a commercial license. The elegant software interface, quick picture viewing and convenient batch processing functions make it easier for me to handle RAW photos and simplify my life and work. I think Faststone image viewer suitable for most normal people’s simple usage. Stepok RAW Importer, it is a free camera RAW format file conversion software, it can handle the RAW files generated by most of the main-stream cameras. In addition to bulk upload function and wide compatibility, Stepok RAW Importer can also beautify the image with simple clicks, after the processing, the image will output to JPG or TIFF format, which are convenient for browsing and further editing. Although Stepok RAW Importer does not offer image adjust options, as a free image conversion software, its features can meet our needs. Raw Photo Processor (RPP) is a very useful RAW file processor that supports almost all mainstream DSLR or digital cameras. The use of Raw Photo Processor is also quite simple, just open the RAW file, you can check all the options at the right side panel of the interface at a glance, you can easily convert the format of the picture. 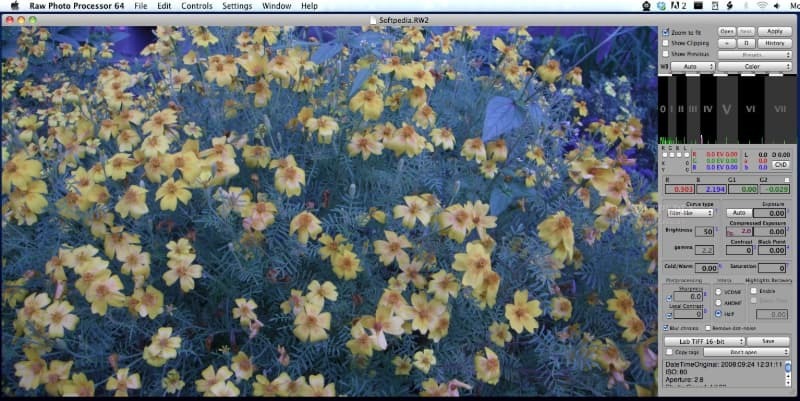 Raw Photo Processor can modify images, but it is not a comprehensive image processor program and needs to be used with other professional image processing software. However, as a compact, free to use RAW file processing tool, it is worth a try. 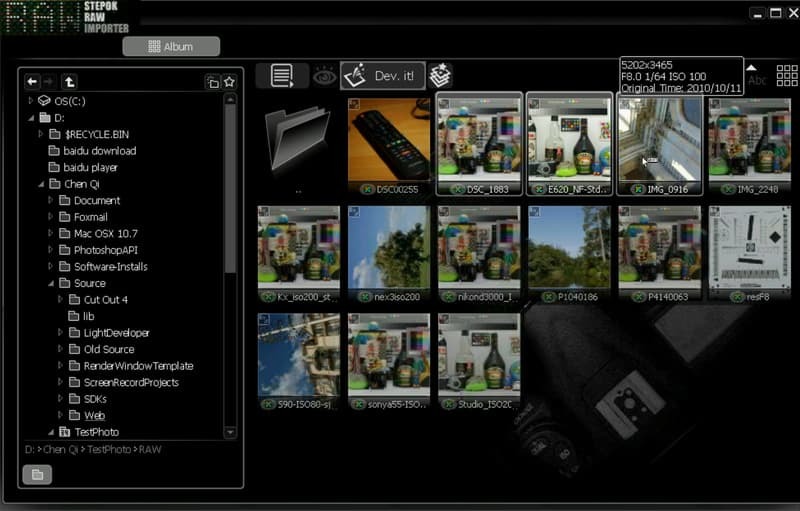 Contenta Converter Premium support almost all the photo formats, even including some minor-stream formats like CUT, G3, DDS, etc.. If you are a designer, you can even use it to read PSD, SVG, EPS files. When you need to convert the RAW file, you can preview the output quality and file size, adjust the resolution for iPad, iPhone and even social posting. Of course, you can convert photos in batch. When need to save the output photos you can use metadata as output name and folder name. Besides converting RAW photos, you can also do some simple adjusting works, like add a filter, crop, rotate, resize, watermark, and so on. Although Contenta Converter Premium is shareware (you need to pay for a license), it’s worth the price compared to those freeware with more powerful features and supporting formats.